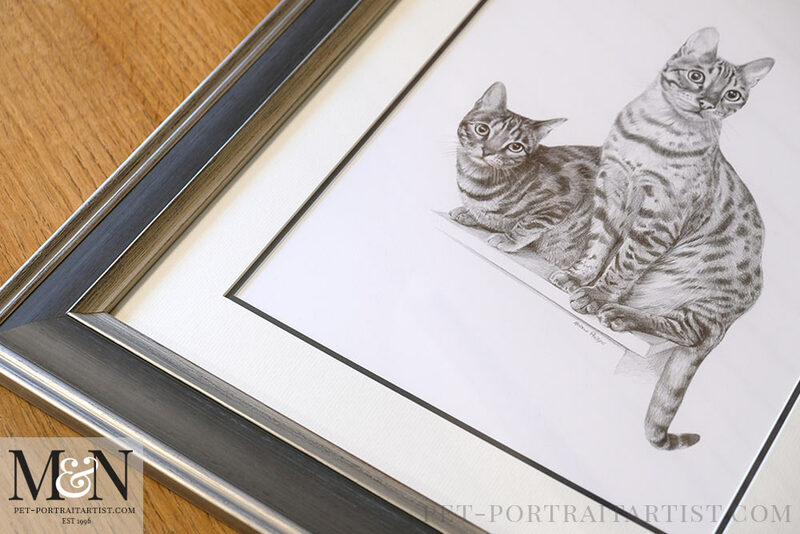 Welcome to my latest framed cat pencil drawing of two beautiful cats called Lucy and Leo. 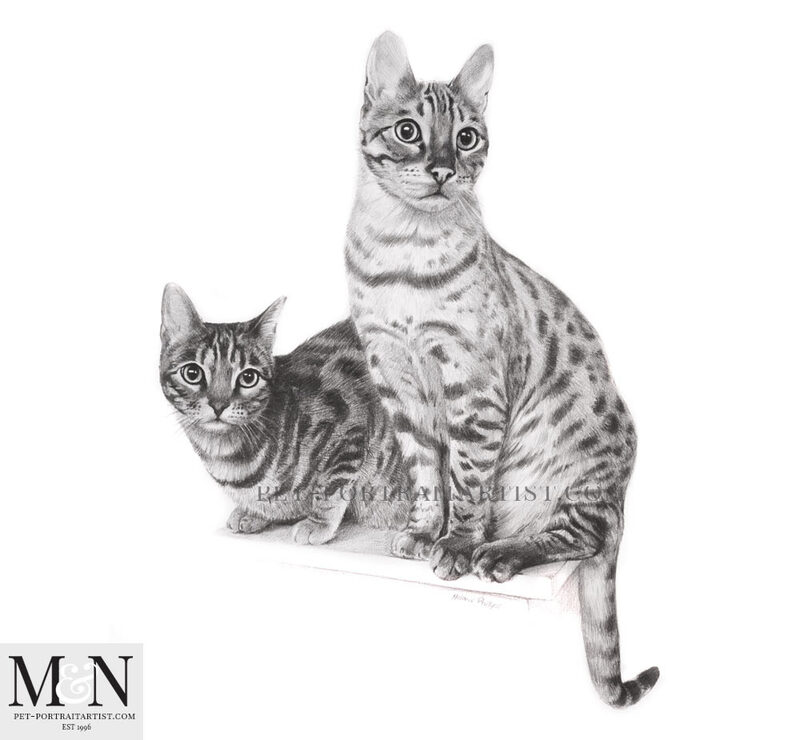 They were commissioned by Kevin in the USA as a gift for his wife this Christmas. 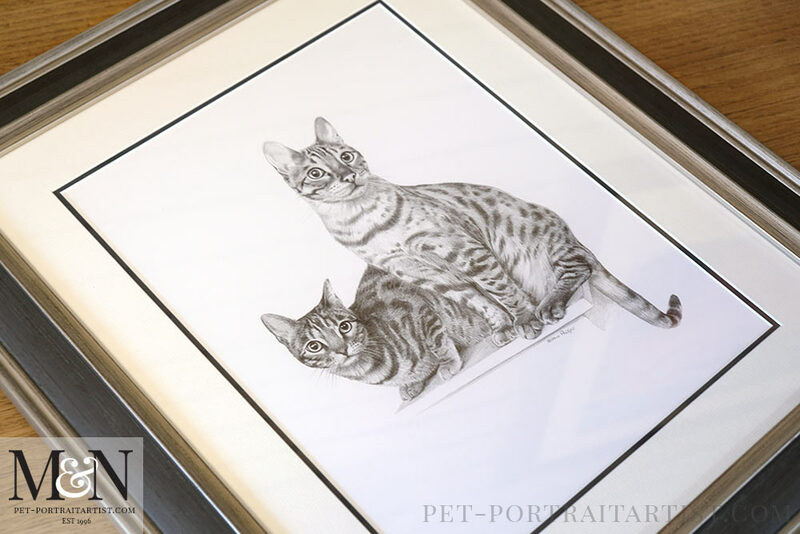 Kevin has given me permission to add the portrait to my blog prior to Christmas which is fabulous! Thank you Kevin! 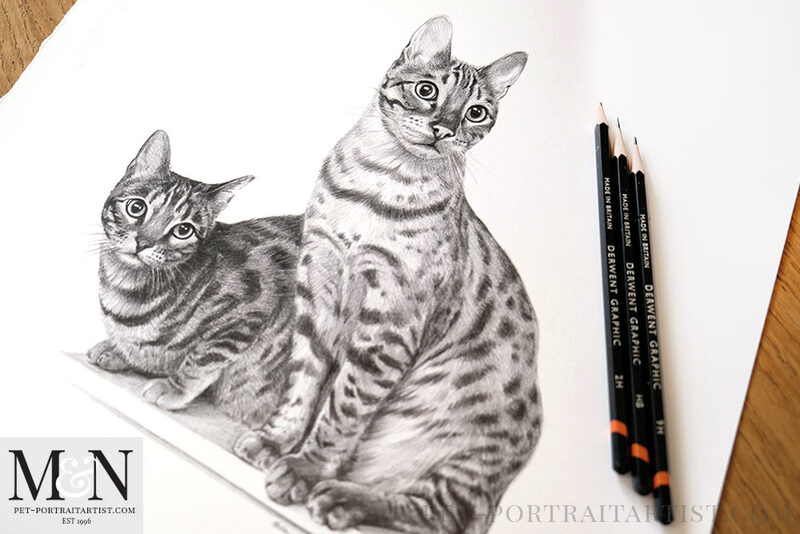 Kevin took a beautiful photo of Lucy and Leo sitting up on a cabinet looking alert. 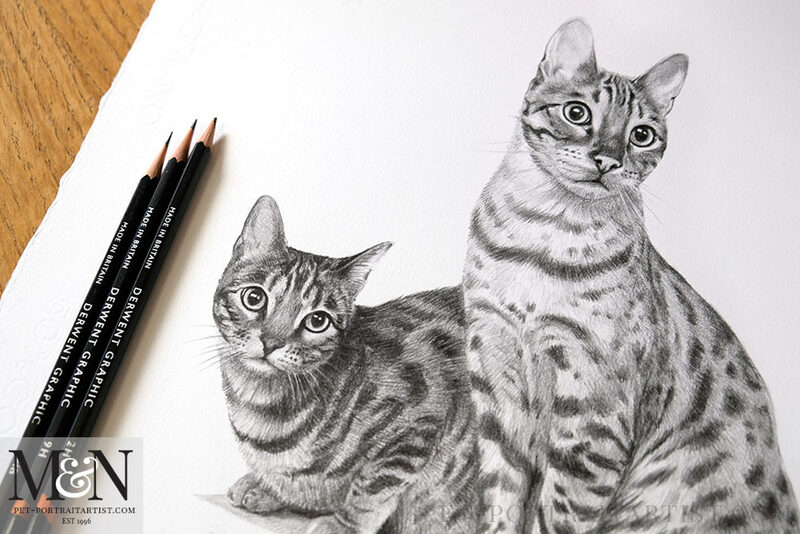 It was perfect for a pencil portrait. 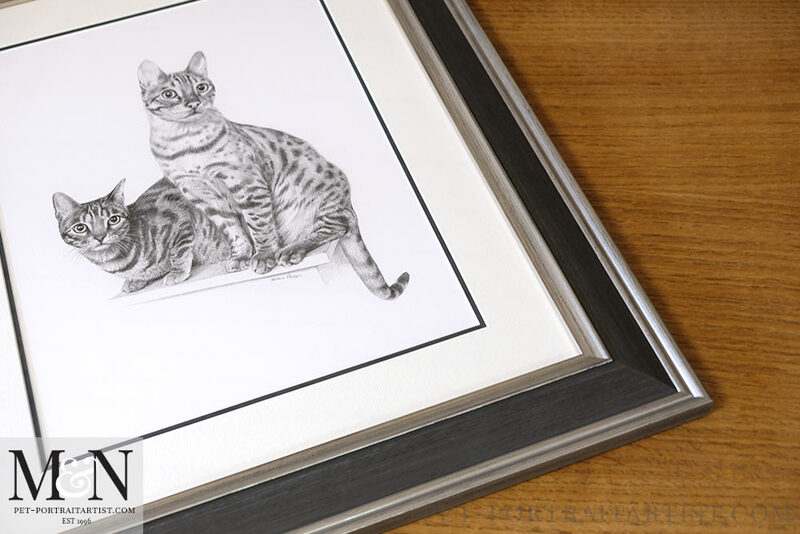 Kevin asked for the drawing to be 16 x 12 size and requested it to be framed too. 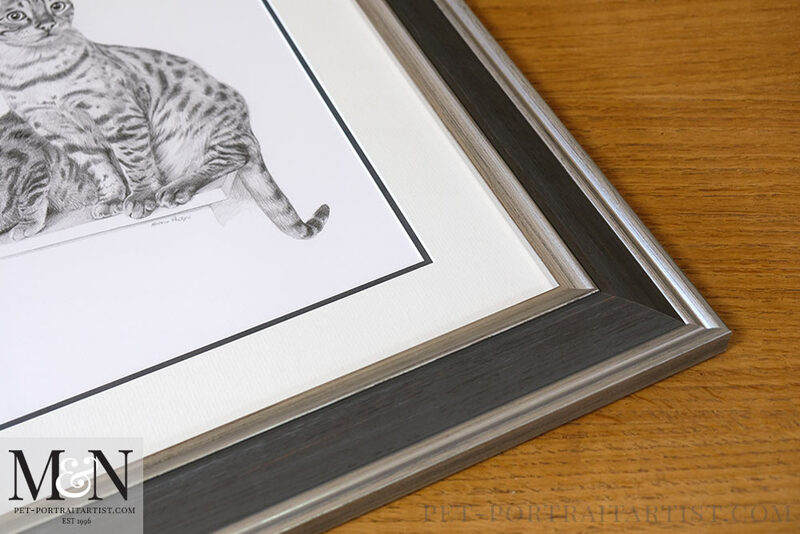 We both decided the Madison frame with the inner charcoal grey colour mount would work really well with Lucy and Leo’s portrait. It did! 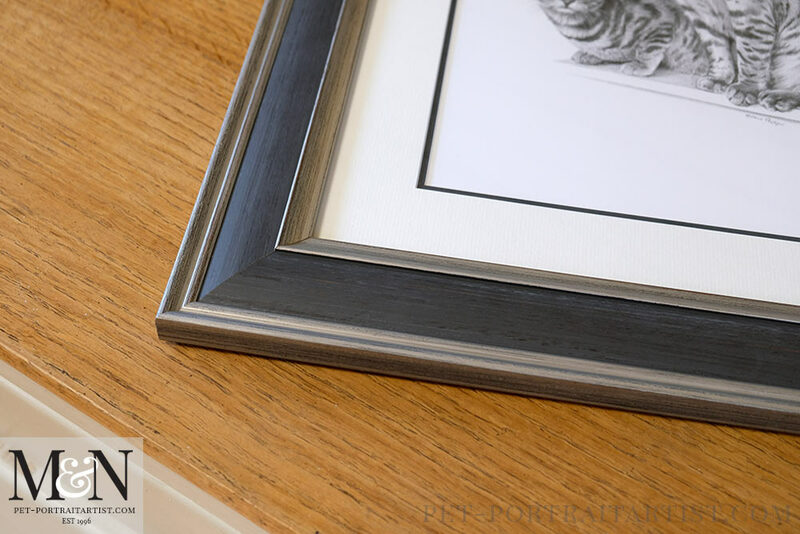 Scroll down the page to see the pencil drawing framed. 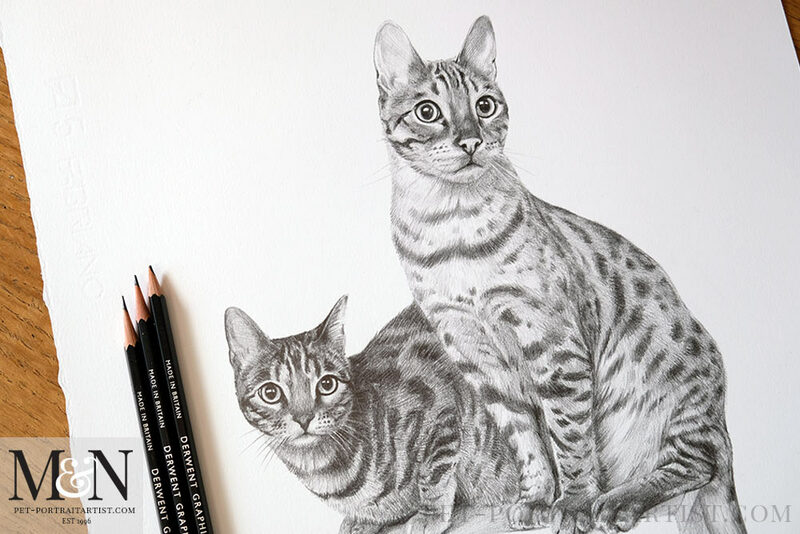 I really hope that it will be a wonderful surprise this Christmas. Thank you so much Hillary!! I hope that you are well!